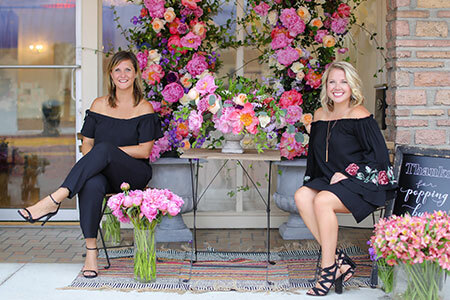 Krissy and Courtney are the creative, hands-on leaders who see the floral design process through from beginning to end. Born and raised in Southwest Florida, these natives have been working their whole lives to create this family-owned business. Krissy’s mom and Courtney’s grandmother both inspired them at an early age to follow their passion for creativity and floral design. Today, they are proud to have their work featured in many publications such as Brides, Southern Weddings, The Knot, and many more. The truth is, they simply love bringing together every detail of an occasion with beautiful precision. This duo can be involved at any level and welcomes the opportunity to work with other event professionals, lending their expertise wherever needed.